Empire Outlets is a category-defining retail destination and New York City's first and only shopping outlet. 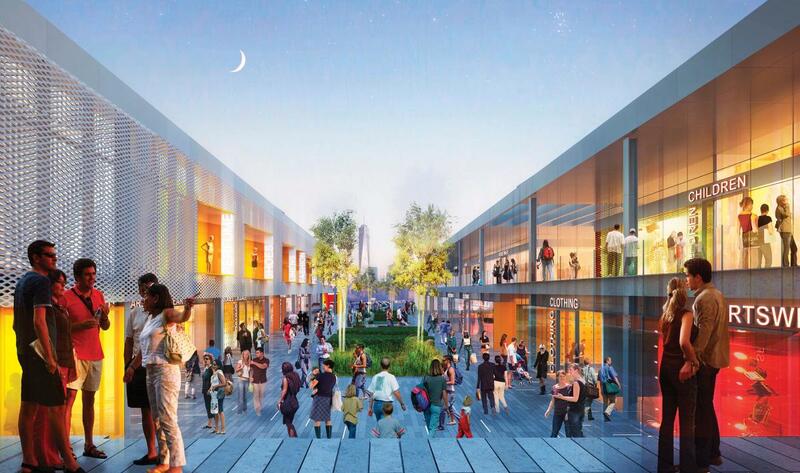 It will be the retail centerpiece of the City's newest entertainment district on Staten Island's waterfront. The world-class shopping destination is located at the base of the Staten Island Ferry Terminal, a 20-minute free ferry ride from Manhattan. It will host approximately 100 shops of the finest brands, an extensive array of waterfront food and beverage concepts and a 190 room boutique hotel with rooftop lounge offering unparalleled views of New York City. Empire Outlets' grand opening is set for 2018.